We’ve been living near Manhattan for a little over three years now. Not in it, but close enough to visit often and we’ve done that many times. When we first arrived, we’d go in nearly every weekend. We were enamored by this gritty lady, Manhattan. Manhattan is a dichotomy, a contradiction. Stars are born here. The best and the brightest of the arts and sciences (and everything in between) hail from and/or settle here. That old saying, “If you can make it here, you can make it anywhere,” I agree because you really have to prove your mettle here and you’re just one of millions trying to do the same. 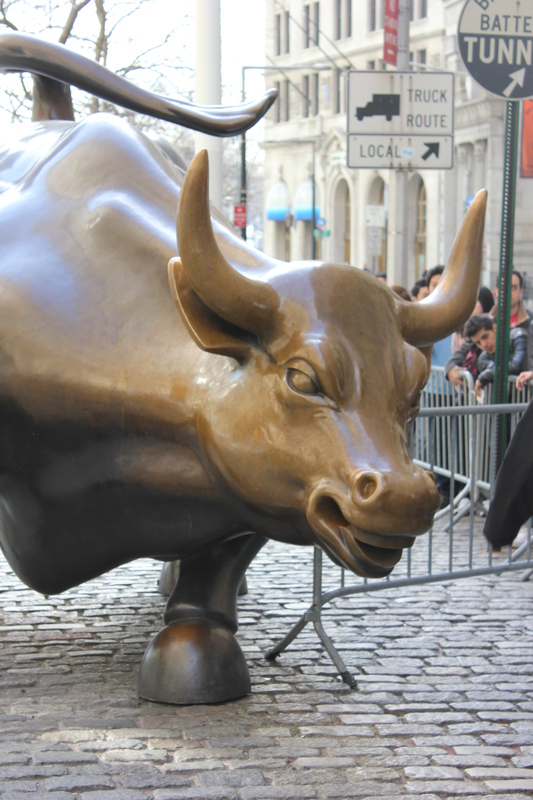 It’s the crux of the financial industry, maybe the world. It also houses some of the poorest population and you see those two things — the jarring juxtaposition of that in nearly every neighborhood. They (the indigent) don’t live in those tony neighborhoods or zillion-dollar condos, but you see them there along the same streets as the uber wealthy. Peddling their wares or hunched over begging for money. Playing their instruments. Most go unnoticed. And yes, this happens and exists in every city. But Manhattan is huge. Delightful and disconcerting. I know there are those of you who grew up here so I certainly don’t claim to know everything there is about this incredible city. This perspective is from someone who grew up in a place so polar opposite of this, it’s overwhelming at times. 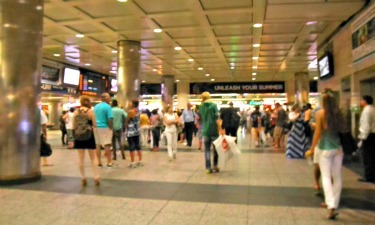 Inside the bowels of Penn Station. I’ve written about Penn Station before and those of you who use it as much as I do know that it’s not the prettiest place. It smells. It’s hot in the summer and cold in the winter. There’s not enough seating or bathrooms for the hundreds of people that commute in and out of it. That’s probably why, at some point, you smell urine (or worse). It’s dirty and crowded. That’s maddening. But at any given time, you’ll see musicians singing their hearts out. Some great and some not so great. People from everywhere all over the world, waiting on their train, to take them somewhere, stop and listen. That’s marvelous and you don’t see that in other train stations in the country. Hubby and I went into the city this past weekend. I had a writers’ group meeting and he took a day off so we could explore after our group finished up. We met at a diner near the station. There’s thousands of diners and this one’s okay. They have a particular problem with separate checks — not sure why — but the wait staff just does not like to do it. They act as if they’re doing you a favor to serve you watered-down coffee and dry muffins. We encountered the same service with a restaurant on Grande Street later. It wasn’t busy but the wait staff ignored us for over ten minutes. Plus they only take cash. Can someone please explain to me why a city like New York has so places that doesn’t take credit cards? We left and walked to find another restaurant — not because of the cash thing, but the ignoring, rude thing. Maddening. Then, you’ll run into a seasoned New Yorker who goes out of their way to give you directions, advise you of the best place to do this or that. Marvelous. 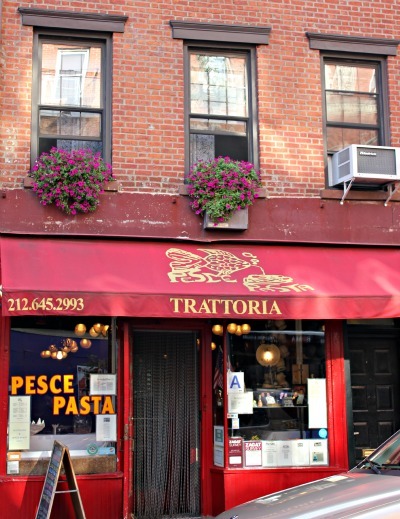 Trattoria on Bleeker Street in the West Village is a great place to eat. We’ve been there several times and love it. We’ve dined at Cafe Boulud on the Upper East Side and Del Posto near the Meatpacking District. Both are phenomenal and they serve you several courses of delicious elf food, but Trattoria is like those little, homey Italian eateries you see in the movies — intimate, delicious and filled with character. 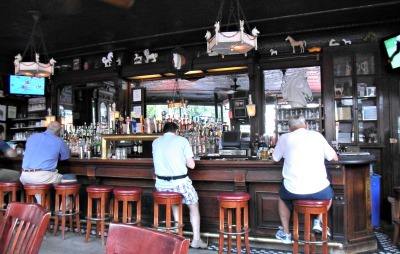 We visited the White Horse Tavern near Greenwich Village and had a glass of wine (which we promptly sweated out once we left). It’s the place where Dylan Thomas had his last drinks before falling ill and dying. Jack Kerouac and several other famous artists/actors/musicians hung out here. It’s touristy now, but still worth a visit. Marvelous. Outside this famed establishment where so many authors/artists/creative types were inspired. And drank. Inside the Tavern. Look at all those white horses! We’ve walked the High Line, a park in Chelsea that was the idea of some Chelsea residents in the mid-1980s, three times now. This was once an elevated freight train structure and it was slotted to be destroyed. Instead these forward-thinking Manhattanites decided to turn it into an elevated park. There’s towering multi-million dollar condos and graffiti-ridden buildings surrounding it. There’s festivals and live music there and from time to time, you’ll see photo shoots going on. What’s maddening about it is every time we’ve been, it’s crowded and there’s really no trees that shield you from the sun on those grimy, humid summer days. The walkways that meander throughout sometimes narrow down to the point where it’s impossible to walk past those in front of you. And those in front of you at times, walk three or four people abreast and STOP to gaze up at the buildings. Maddening. 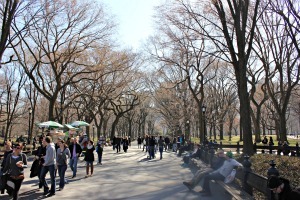 Central Park and Bryant Park are great. I prefer expansive, green spaces with trees. There’s always people out running, walking, biking and sun-bathing. You can bring a quilt and relax and people watch — one of my favorite things. Marvelous! Despite all the “maddening” aspects of the city, it’s still quite marvelous in the way each neighborhood is distinct. Each one has a personality. I love the Village and the Upper West Side. The Upper East Side looks like quaint European villages. Soho is eclectic and cool with some sweet shopping. Hell’s Kitchen (realtors have tried to rename it, Clinton) but most people still call it Hell’s Kitchen is near the Theater District. We haven’t explored all of them, but we’re working on it. A model pretending as if she’s freezing and it’s winter. it wasn’t. It was near 90 degrees and humid. This will probably show up in Vogue or something. Wherever you walk, you may stumble upon some camera crews filming an episode of some movie or television program or emaciated models posing for a magazine spread. They’re very, very tall and thin. Where do these people come from? 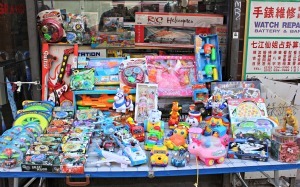 You’ll see shopping that’s ridiculously expensive and a few blocks down (or over) you’ll see a vendor with a table-full of tchotchkes that I’ve not seen since the 1980s. Where do they get this stuff and who buys it? You can buy all this in Manhattan too! Fancy a foot or back rub before or after dinner? You can get there here! I’ve learned an important lesson about the city. Wear comfortable shoes. I see fashion-conscious ladies striding around and many of them don’t appear to be in the best of moods. It’s their shoes, I know that’s it. Here’s a recommendation: When you do decide to go in, go in the fall, spring or early winter. Trust me, it’s not so marvelous in the summer, but you’ll lose about five pounds or so of water weight walking around, so there’s that. 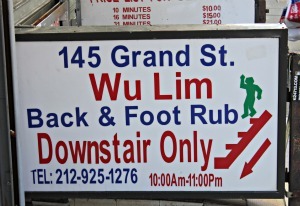 I don’t know, Brigitte–Wu Lim sounds like a “rub & tug” joint! I’ve only been to Manhattan a couple of times, and haven’t stayed very long. I’m not really a city person (although I make exceptions for London and maybe Chicago)–they’re too busy and loud and angry. In New York there’s the additional difficulty (for me as a West Coaster) of the New York “abruptness” (and ‘abruptness’ is me finding a nice term). Also, I feel really claustrophobic there. But it is a vibrant and dynamic city, and like you said, it’s hard to speak in enough superlatives about what NYC means to America and to the world. Your affection for the place is touching. I head the same about DT and it wasn’t pretty. All that raging and drinking didn’t didn’t fare well for him. I’m a wide open spaces kind of person and it’s been a dramatic culture shock for me. Been to Chicago — love it but haven’t been to London. I think people can be abrupt everywhere and yeah, there’s some New Yorkers like that, but I think they get a bad rap sometimes. It’s all those PEOPLE all the time and yes, I get claustrophobic myself. But we are here for the time being so I try to find the best because really why not, you know? Hubby and I do dream about West Coast living and yes, it would be Santa Barbara or Napa Valley — who knows, maybe one day. Love the laid back-ness of the West Coast and Highway 1 — now that’s a view. Thanks, Smak. Great blog Brig! I love Manhattan and miss it. My sis used to live on the UWS so I always had a place to stay and now she’s in Denver…whatevs. One thing you touch upon and I think is so important for any city but especially to understand NY is to walk! I don’t know how many times I’ve been to NYC but it was 7-8 years ago that I first walked all over the city and then I knew it or knew it better than I ever had before. Hi Mags, thanks! Odd, we have a family member in Denver also. That’s too wide open for me and the elevation messes with me. And yeah, you’re either walking or riding a subway or hailing a taxi. If it’s a nice day, we always walk no matter how long it takes. :). I’ve walked in the rain for 30+ blocks b/c it is impossible to get a cab! I think walking helps to figure out where everything is b/c you don’t pay attention when you’re on the subway. You’re right. That’s why we walk so much….you get the flavor of the neighborhoods, plus I don’t like getting all sweaty and smelling pee. NYC is great, but I think it has to do with where you live and the people you meet. The real NYorker’s are some of the best people I’ve ever met. Lou Ann, I’m a small town girl myself and I miss that. Glad you enjoyed the post and thanks for the comment! Thank you, Bridgette for the lovely tour! Hi there and nice to see you here again! Glad you enjoyed and thanks so much for dropping in. Great post, Brig!! I grew up in Chappaqua, (Westchester County) which was around 35-40 minutes from Manhattan. I’d use Grand Central Station – a landmark which I absolutely adore. 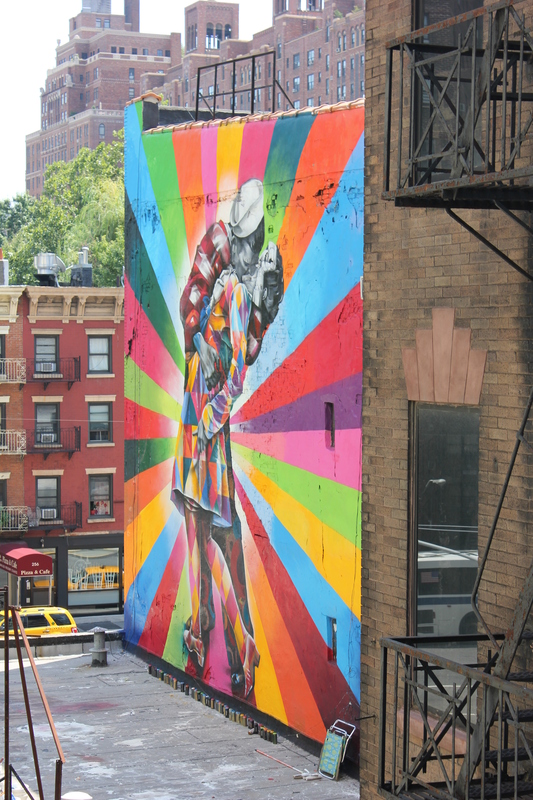 When my husband and I got married we moved to the upper East side – Little Hungary to be more specific. It was a 5 story walk up, a studio, slightly infested with roaches and mice. Is there such a thing as “slightly infested?” We were SOOOO poor. I remember finding $10.00 in my pocket one time and jumping for joy that we could both get a slice of pizza for dinner. haha! I have so many great memories of that city from early childhood and up. It remains my old friend. I haven’t visited in several years but your blog makes me a little homesick, so I may have to make that trip very soon. Thanks for stirring my memory pot! Thanks, Lisa. Grand Central is beautiful and I’ve heard they’re going to spiff up Penn Station although I can’t imagine what that’ll do to the train schedules — it won’t be pretty. You know when you’re young though, those tiny apartments and being poor is fun — you don’t think about what you don’t have because you’re so in love and life is so wonderful. Still is, it’s just when you’re young….you know what I mean. Wow, the Upper East Side, you can’t touch that now. Maybe 200 square feet for a few thousand a month. It’s ridiculous!! What a great story — love to hear more about that. So glad I could “take you back” and thanks for your very sweet comment. I haven’t been to Manhattan in a long time now, but I grew up in New Jersey, so I’ve spent a bit of time there. 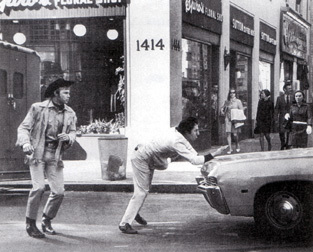 I love what you said about seasoned New Yorkers, who’ll go out of their way to help you. I always found that, so long as you’re pleasant and don’t act as though you’re entitled to their time and energy, New Yorkers can really be quite wonderful. They’ll mind their own business, but as soon as you ask for help they’ll stop and give you a hand. Those who don’t, who are horrible to you, are generally not really New Yorkers. Kathy, you’re right. I came here on business twenty years ago and boy, I was wide-eyed and naive. But so many New Yorkers helped me — find the right train, direct me somewhere and even helped me hail a taxi. I think they’re like everyone else in any other city — be nice, respect them and you’ll get the same. Come in with a ‘tude and watch out. Thanks for the comment! This could be an article in a travel brochure! I grew up here and still live here. I have lived in Hell’s Kitchen. 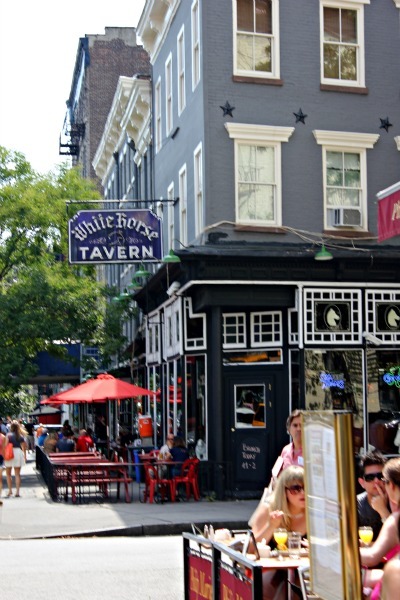 I’ve been to the White Horse Tavern. Gotta tell you, I’ve had it up to here with Manhattan! I’m too old…too old. And I don’t live in a bad neighborhood, it’s actually desirable for ‘Manhattan standards’, though people I know from out of town don’t understand how where I live could be considered valuable real estate! This island is hot! What you say about people here being helpful — I tell you it’s true. My neighborhood, oddly enough, is kind of old-school. I know everyone and sometimes in the morning on the way to work I marvel as I say hello to all the proprieters on the block. It feels like a town sometimes, a sometimes maddening town however — I do understand that. But the energy here is powerful. Sandee, I’ve ghostwritten some things about the neighborhoods in Manhattan so I learned a lot. I hear the same from people who live and work in Manhattan — what you’re saying and I don’t know how I’d adjust living right in the city myself. There’s SO MANY people. And yeah, it’s hot there — that’s why it’s not a good idea to walk around all that concrete and heat!!! The energy in the city is powerful, very. I like Hell’s Kitchen, there are some gorgeous brownstones there. I love your posts when you show pics of where you are and the places you frequent. Thanks — I’ll take the travel brochure comment as a big compliment from you. :). Carrie, we’re “nearby” but we always take the train in. Not worth driving because I cannot stand sitting in traffic and then trying to find a space — fuggit about it. (don’t think it’s spelled that way, but I’m trying to say forget about it in New Yorker dialect). And yeah, parts of Brooklyn are gorgeous because it’s SOOOOO expensive in Manhattan. A neighbor of ours told us they had a friend who had a 600 square foot apartment in the Village that rented for over $3000. That’s insane to me. 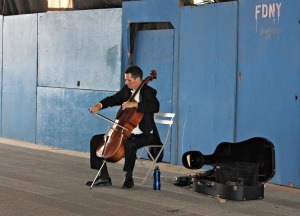 Who knows, maybe I’ll write a post about Williamsburg (in Brooklyn) — it’s pretty cool. Thanks, Carrie. Did the same in Jackson, Tennessee once. My sister and I had a leaning apartment with hardwood floors and one of those cool, clawfoot tubs in the bathroom. It was on top of a convenience store that sold beer. I think it ran us about $85/month but it was fun Not in the best neighborhood but fun. There is no such thing as $85 anywhere near NYC. Trust me, that’s the MADDENING part. What a great tagline — North Dakota — “The New Manhattan” or The Manhattan Where You Can Afford to Live AND Eat. Or “The New Manhattan, Without the Bed Bugs.” I dig it, Carrie. I enjoyed taking your trip with you, B! Yeah, the High Line has gotten insanely overcrowded, and I also don’t understand why so many places still don’t take credit cards, aside from the fact that it’s cheaper for the restaurant owners to deal in cash only. I used to live in Soho. Man, I loved it. LOVED.IT. But then the hipsters infiltrated, along with the tourists, and then it wasn’t as much fun anymore. I hated having to battle the crowds just to get a quart of milk from the store around the corner. But if Mr. Weebles and I could afford an apartment of any decent size down there, I’d move back there in a minute. Hey Weebs, yes I thought that was the reason, but it’s odd coming from a place where everyone accepts credit cards and since I’ve lived here I understand! And hubby and I are the same, although we don’t know the NY that you knew, if we could afford some digs with decent space, we’d live there as well. But I’m too old to live in a shoebox, I don’t care how great the view is. :). I love New York. I interviewed at a few ad agencies there in the early 90’s, but alas, here I am…..smalltown living. Love the post and the pics. Makes me want to go back. Thanks for sharing your travels with me. Armchair traveling is the best.. I tend to stay away from cities. However, the town I reside in gets infiltrated with NYC weekenders. Most are really lovely people– some, ahem, not so much. My hermit husband and I always talk about taking the train into the city but never do. and the post was not too long..
Hi Audra, thank you for reading….to the end. I’m like you, big cities intimidate me. And I do know what you mean. Hubby and I have been to parties where no one goes below the Mason Dixon line and they lump us into a certain category. But I take it in stride and consider myself lucky that we’ve traveled all over so we know that there’s good people everywhere. I try to look for the good, but every once in awhile I have to open up a big can of whoop a*s on someone. 😉 In a wicked kind of way. Thanks, friend and I hope your daughter is wonderful! no word today from her but i didn’t expect to. Dare I say I hoped but I know I was driving her crazy yesterday..ha can’t stop the MOM in me I guess :). I quite agree that there are good people everywhere. Always try to find the good, right? Yes, I try I really do. 🙂 I bet your daughter is doing great but I understand your worries. That’s your baby! But it sounds like to me you and your husband have “armed” her with the best. Cheers, friend and I look forward to more of your gorgeous poetry. I’ve only been to Manhattan once and funny enough, I felt pretty much the same as you do about the city. Obviously I wasn’t there long enough to make any judgments of value, but there were definitely lots of things that I liked and didn’t like. One thing though that I had a hard time getting used to was how FAST everything and everyone moved. I thought living in LA would prep me enough for big cities like Manhattan but one experience at a coffee shop where I held up the line as I frantically tried to pay, take my coffee, and get my change all at once really put things in perspective. Lillian, NYC is a great city! I’ve been to L.A. and I think that whole “rushed” thing is the same thing everywhere; be it NYC, L.A. D.C, Chicago, wherever. There’s really nice people and some not so nice. When I’ve been “nice” that’s what I’ve gotten in return. If I don’t get that, I go somewhere else. NYorkers, like every other “stereotype’ is just that — not accurate. Oh good grief, Lillian! Of course you didn’t offend me. I’m not from NYC — kind of from all over. I’ve always said there’s nice and not so nice people — everywhere, so you most certainly didn’t offend me. And you’re right, NYC is very rushed — all the time! Hi T, thank you. Not as delicious as your pics, but we just snapped some quickly. I have some great pics of the architecture of NYC that I should just post. It’s difficult to work them within text sometimes. 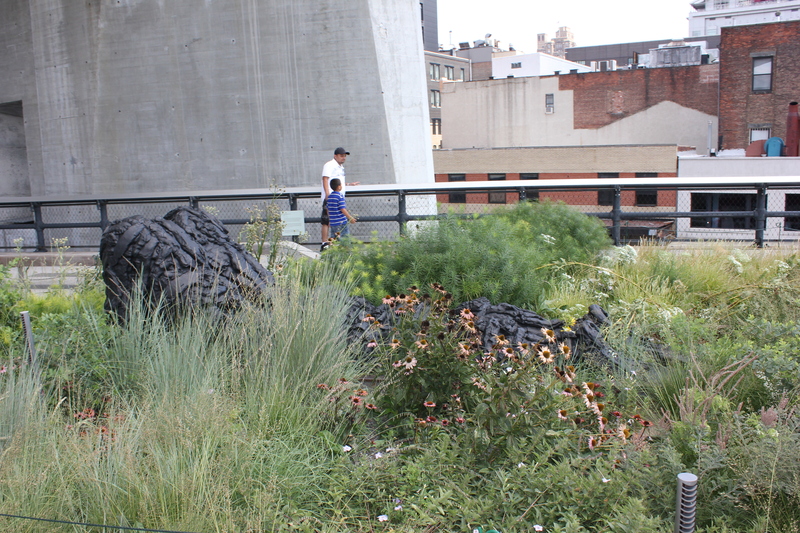 I prefer Central Park, Bryant Park and Washington Square more so than the High Line. Or maybe I just need to walk it on a cloudy day and when it’s cooler. It was too crowded when we went so I didn’t feel as if I could stroll leisurely….more like moving cattle! :). Yes, the views are fantastic and yes, some people who have homes that surround it have their little courtyard with art in them. It’s sweet. Not sure if I’d ever attempt the High Line in the rain but thanks for the heads up. Have a wonderful weekend and thanks! I recently posted an article about NYC and all the great stuff I love doing over there (http://lespetitspasdejuls.wordpress.com/2012/07/22/un-jour-jirai-a-new-york-avec-toi/) but yours is from the inside, the way I like it! Do you mind if I reblog it some day (when I finish translating it in my other 2 languages… sometimes it’s a hassle to do that, but otherwise, lots of my friends and family wouldn’t even know what I’m talking about…) and I would truly love them to know more about the city, because it is so maddeningly beautiful and loveable! Thanks for the long post and sorry for the long comment! Hi Juls, I think YOUR article is wonderful and the pics are great but you’re certainly welcome to reblog this post. Once you do, please let me know — would love to see it. Loved your post as well and it looks as if you’ve done some things I haven’t so thank you for that. You’re so very nice. Cheers to you, friend! Thank you so much for your lovely words! it’s so gratifying that someone who lives there likes what I wrote; I SO enjoy this city! I’ll be glad the day I go on my own and discover new places! 😉 Maybe, we’ll meet in real life, then?! I’ll let you know when I finish translating your article and it’s ready to be reblogged! ha! I’m getting myself into too many things at the same time right now! Cheers to you and a great day! Since WordPress gives the opportunity to “reblog” any article we like from another writer, I couldn’t miss it and not share with you this great piece about NYC, by Brigitte! Enjoy! This is a great post which describes Manhattan so well. It doesn’t matter if you are from there or not. What is a fcat is a fact. I was raised in Brooklyn but I went to college in Manhattan and always found myself rushing around while, constantly, looking behind me in order to keep myself safe. It is a great city but it does have it’s city-ish problems. Living in the city – any city – requires a certain inner strength. I didn’t have it and still don’t. I prefer a more suburban setting. I suppose that’s what makes traveling so interesting. You can experience other places and compare. You can go where you go but just like Dorothy said in the Wizard of Oz – “There’s no place like home”. Thank you so much for your comment! Especially from someone who has lived in Manhattan, I so appreciate your perspective. There is no place like home but I guess that a different definition for everyone. Welcome and I hope you’ll visit again — your comments and perspective are always welcome here!